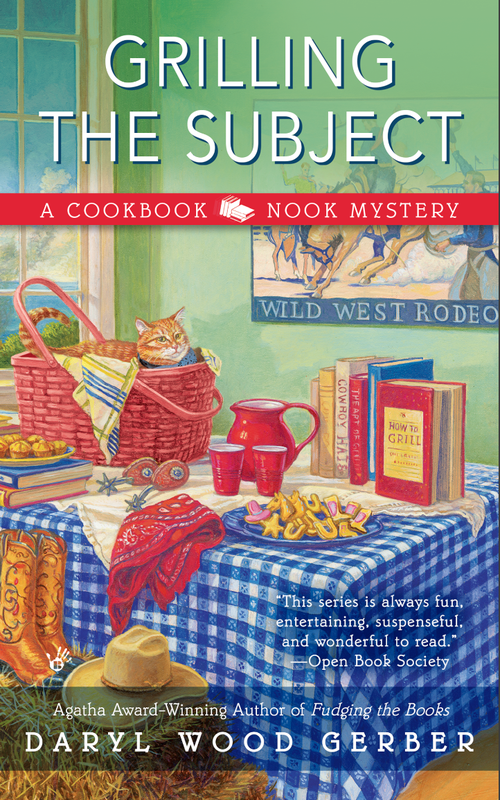 Today, I'm giving away a copy of GRILLING THE SUBJECT so some lucky winner will have something to read over Labor Day! Check the details below! I love peaches. I crave peaches. When in season, I buy at least 5-6 peaches a week. But they're really only good "in season" so you have to do something with them right away. You don't want them to go bad. You can eat them plain. You can make jam, of course. You can add them to ice cream and cereal. You can make ice cream. Or you can make pie. And other than plain, with the skin and everything, PIE is my favorite! I decided to try two different versions this week. Yes, two. I went to the farmer's market and bought twice as many peaches. Needless to say, I've been having my fill of sweet things and it's probably time to take a week off and just eat protein, but oh, man, it was worth it!! Every calorie. Every bite. 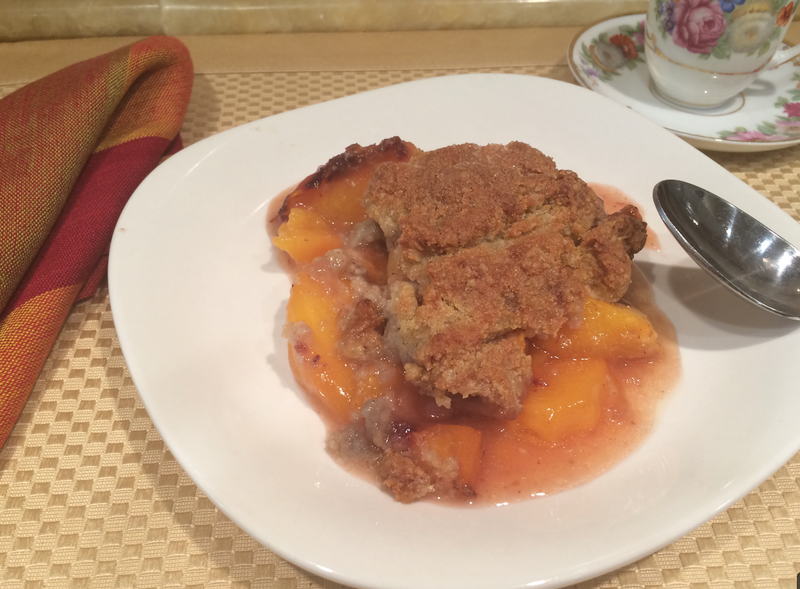 You can also make "pie" without the crust and just add a crumble or biscuit topping! See my second "version" with topping below! Prepare pie shell (see below). Set aside. 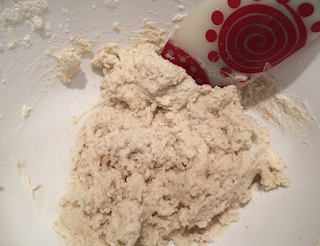 In a large bowl, mix brown sugar, corn starch, nutmeg, and butter. Cut in the butter. 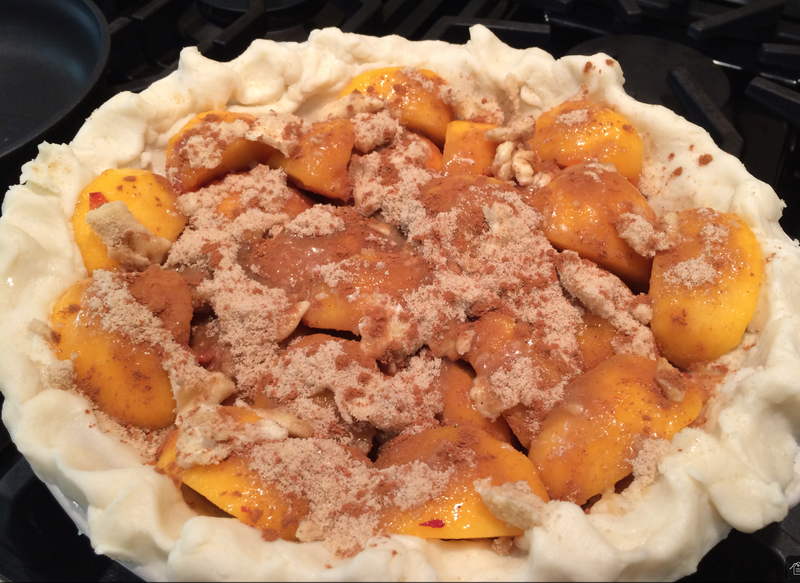 Sprinkle half of the mixture in the pie shell. 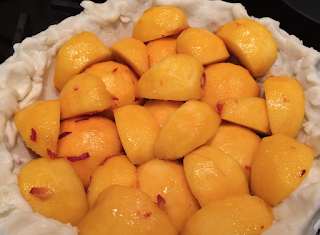 Arrange peach halves cut side down in the pie shell. I like to take a few and cut those halves in thirds and set around the open spaces. You can make whatever pattern your heart desires. 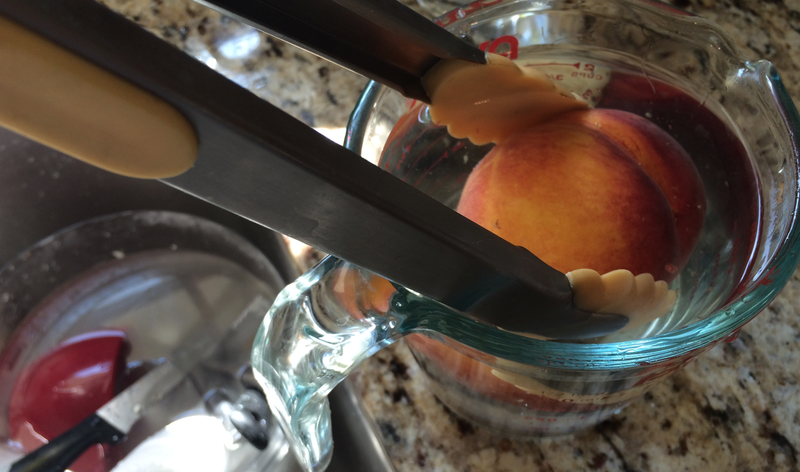 **Tip for peeling peaches - I dip them in hot water and they become easier to peel (sort of like what you can do with tomatoes). About 20 seconds per peach. 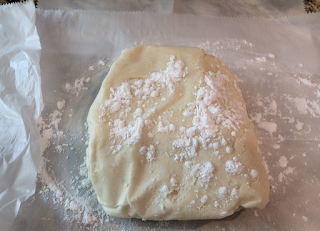 Cover with the remaining sugar mixture. Sprinkle with cinnamon. Set on a baking sheet just in case. Bake at 450 degrees for 10 minutes. Reduce heat and bake at 350 degrees for 30 minutes. Remove from oven and let sit for 20 minutes. Serve warm. 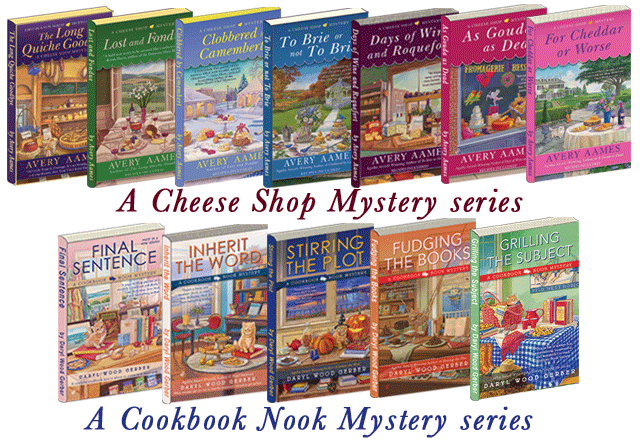 With ice cream or whipped cream or a slice of cheese – or just plain. Yes, it sort of falls apart, but it's okay. In a food processor, put the flour, butter, and coconut oil. Pulse about 10 times about 10 seconds each. Add the ice cold water. Pulse again. Remove the batter and place on parchment paper. Wrap tightly and refrigerate for about 30 minutes. 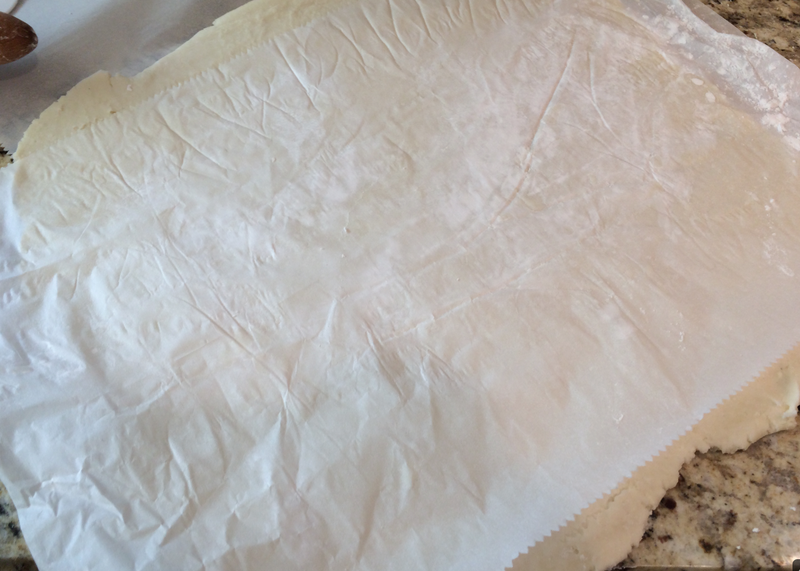 Remove from the refrigerator and set on a floured piece of parchment paper. Sprinkle with flour and top with another piece of parchment paper. 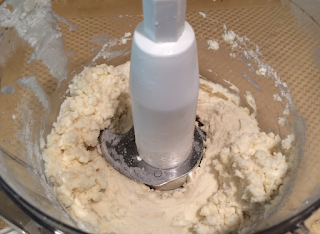 Roll with a rolling pin until a 10-11” circle forms. Remove the parchment paper and set the pie dough in the pie plate. Crimp the edges according to your desire. Follow above directions for pie ingredients. 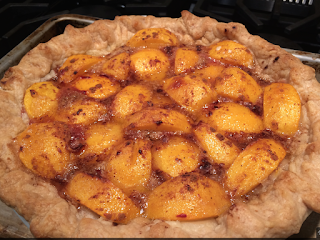 Note: If you choose to use a store-bought pie shell, you might want to cut back on the amount of peaches. 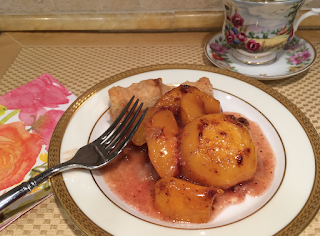 I like the deep-dish version because that means I get more peaches!! 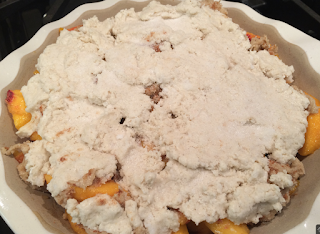 Then make the topping beow and put on top, in dollops. 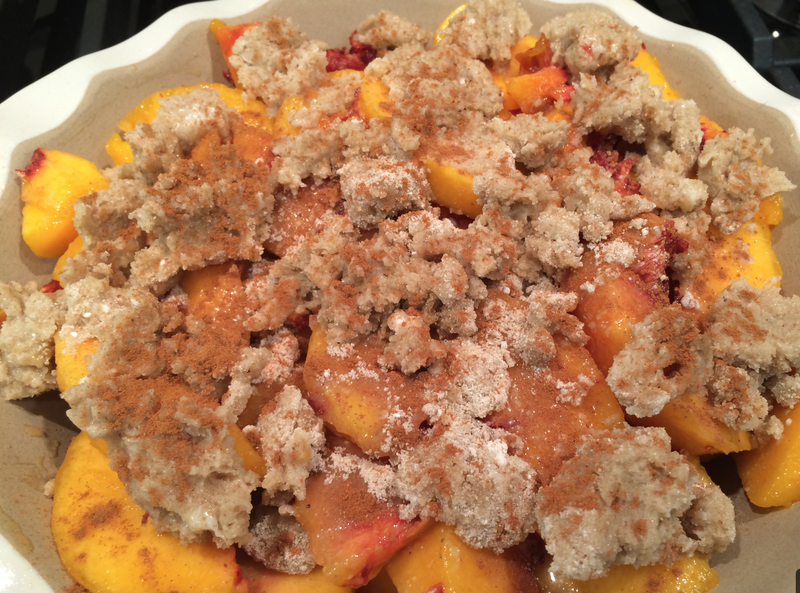 Mix all of the ingredients in a medium bowl and put in dollops on top of peaches. This topping was so crispy and tasty! 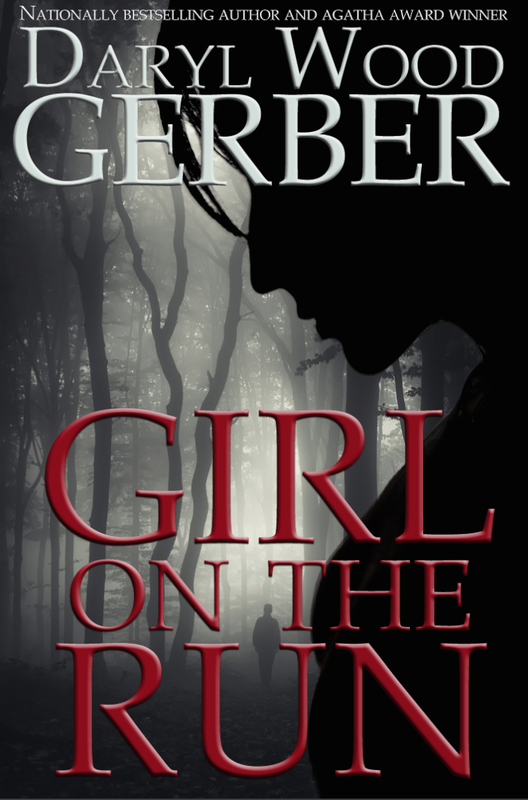 Today I'm giving away one copy of Grilling the Subject. Leave a comment and tell me what you're doing for Labor Day! Sounds yummy! I will be recuperating from carpal tunnel surgery. Thank you for the chance! Doing absolutely nothing! Well, not really, don't have any obligations for the weekend so we are just going to enjoy it and relax, and I am going to read, read, read. And now maybe make peach pie - those look delicious. Thanks for the giveaway. 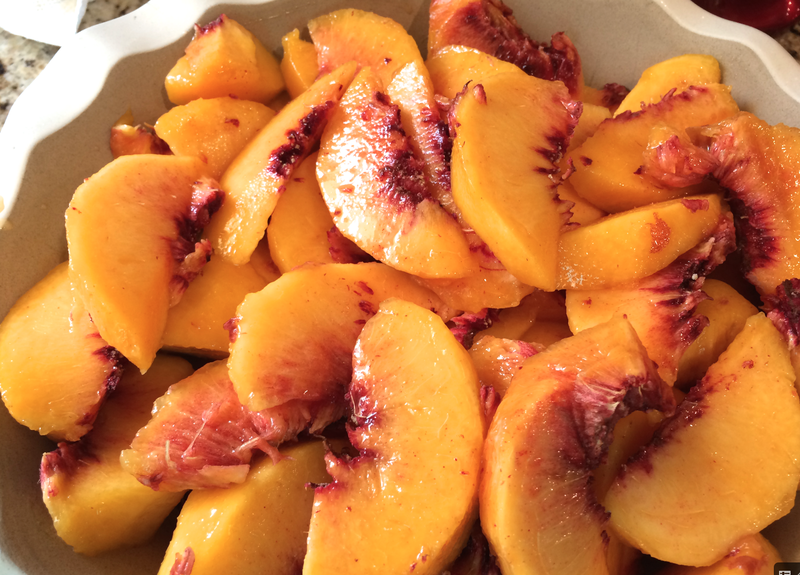 I also love peaches. 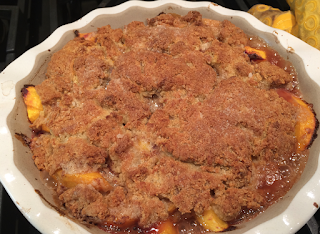 Our local peach season is very short so I bought several baskets this week to make peach smoothies and peach/raspberry crisp. 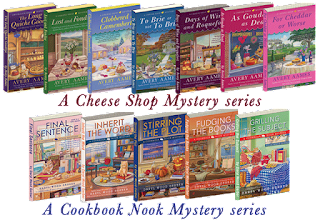 I will be reading several mystery books this Labour Day weekend, including several New Orleans authors in preparation for travelling to NOLA for Bouchercon. Thanks for the chance to win! Thanks, Daryl. 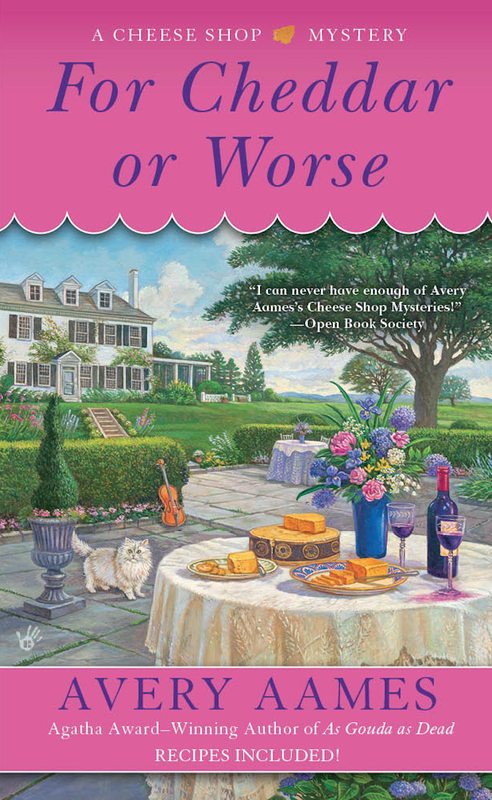 Yes I enjoyed reading Plantation Shudders and will be going to Ellen's launch party for her second book, Body on the Bayou! 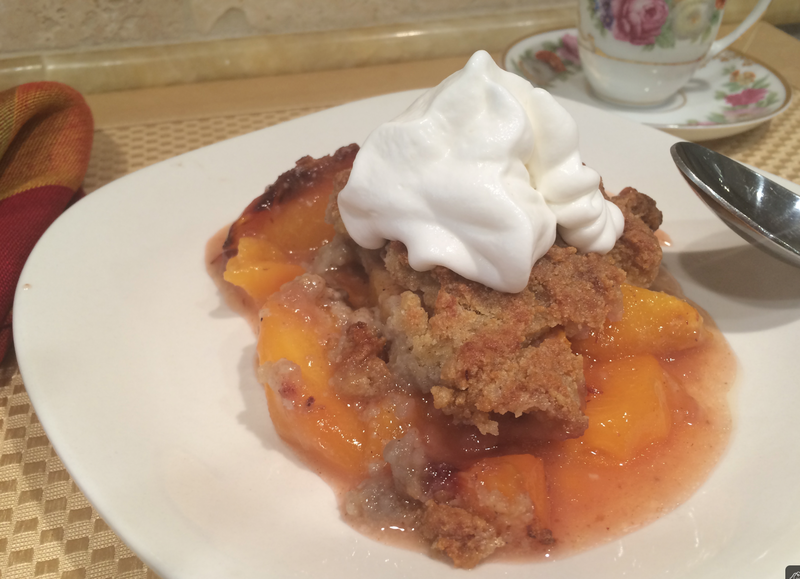 Alas, the entire Massachusetts peach crop was wiped out by an untimely frost. 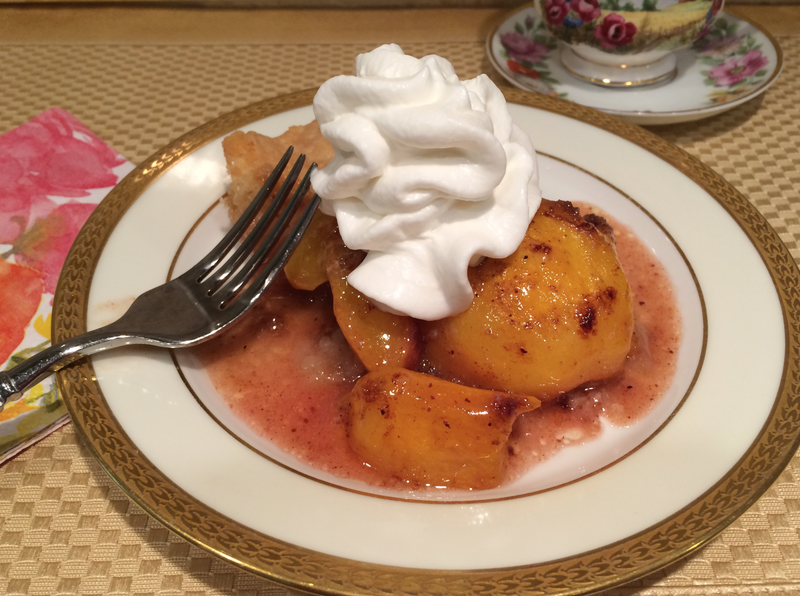 I will have to enjoy these gorgeous desserts vicariously--or save them for a better year.